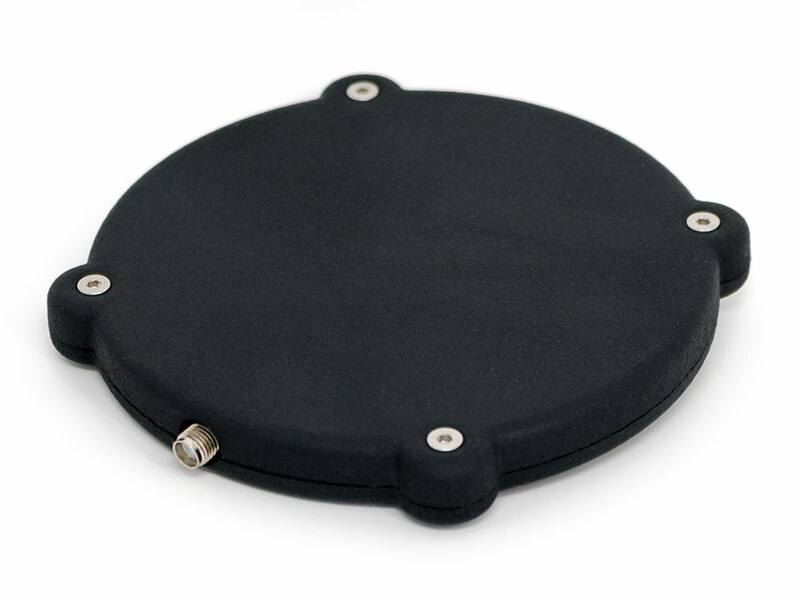 WiBotic’s standard antenna PCBs are designed to be as light-weight and durable as possible. The RC-100 is our standard receiver antenna and is shipped with all WiBotic Onboard Chargers. It is connected to the Onboard Charger using a short coaxial cable and comes with a standard nylon plastic cover. Other lightweight plastic options are available and WiBotic can assist robot/drone manufactures with integration of the RC-100 into the robot or drone’s body – thus eliminating the need for a separate enclosure.